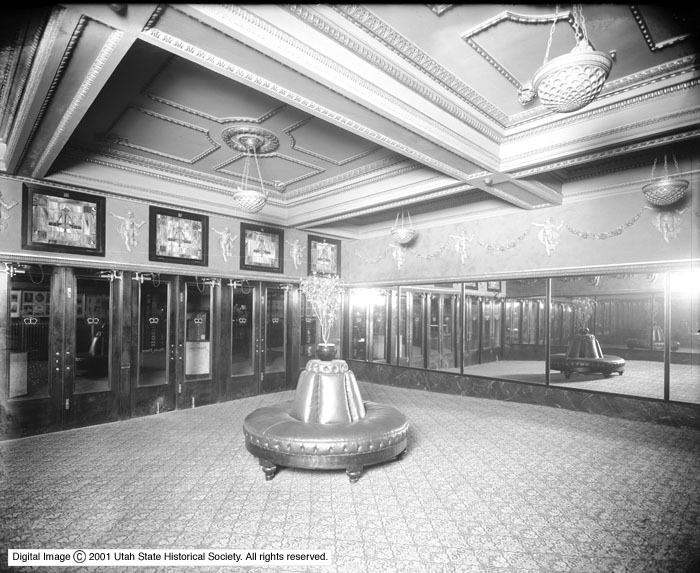 Description Image shows the empty lobby of the Rex Theater. Rights Management Digital Image © 2002 Utah State Historical Society. All Rights Reserved. Source Physical Description Glass plate is yellowing.